This December 28, 2008, Allen Myers passed on. He made his final fight. If you pass here, stop you 5 minutes and think of what Great Man made for you. I would never forget you Allen, Thank you for your friendship and for all! I thank with all my heart Allen Myers for taking the time to answer my questions. And I also would like to thank Hélène for the translations. 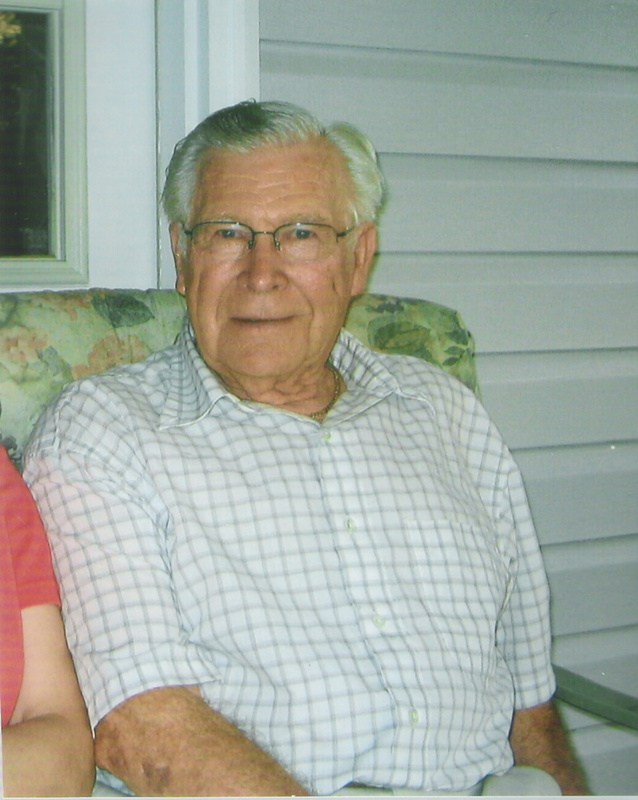 Allen William Myers was born on October 19, 1924 in Antietam Furnace, Maryland at about 120km from Washington DC. Al was born in a farm belonging to his father. He worked there before working in a military aircraft factory. In 1943, at 18 years old, like most of the young men of his age he was called up for the military service. He was integrated into a regiment of Glider, the 193rd GIR of the 17th Airborne. There he got his badge of “Glider”. 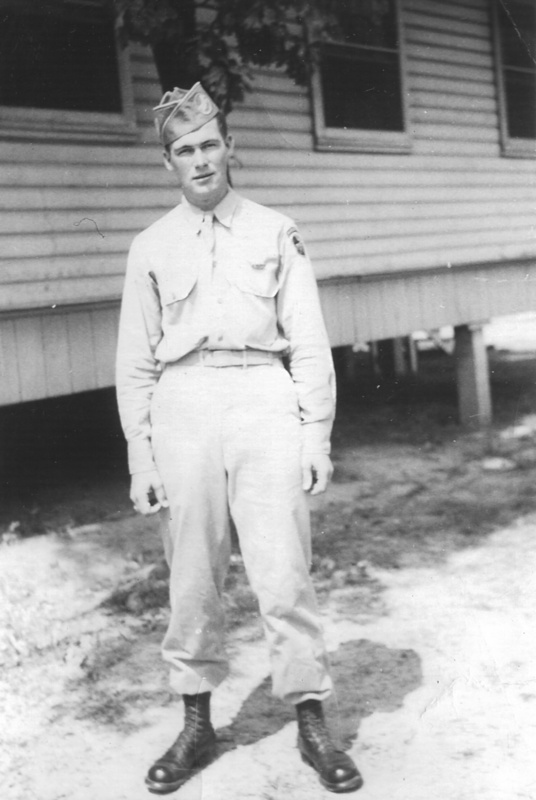 Allen spent all his training period in USA and still within the 193rd GIR, he was a Private First Class. Of course, it is mail parents receive when a close relation is killed in action Allen thinks about. “Of 1/6/45, near the town of Flamierge we countered a German panzer attack. 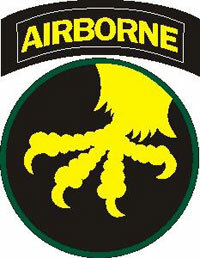 Gen. Patton had ordered that the 17th Airborne was to seize the town. I remember the beginning of the attack. We started up the hill at daybreak. A lot of the guys were getting hit and all of a sudden I looked up and saw a puff of blue smoke. It was not just some men at the top of a hill, but a whole division of Panzers and two units of SS. The GI'S had to climb this hill. The Americans pushed the Germans back, they thought they were safe, but the Germans were brought together to create a counter attack and to attack the the airborne troops sides. While the unit of Allen Myers entered a field defenseless they were took under the crossfire of the enemy machine-gun. Myers did what he had learned, he jumped in a shell hole to get safe. Then, he stood up to run backwards when he was shot twice. One of the bullets hit him at the top of his left arm. Allen Myers tried to take a “medicine” to fight any kind of bacterial infection, but the water in his flask was frozen. He remained there on his own laid during 2 hours and a half waiting for the night to fall. Once the night fell, Allen Myers stood up and left backwards to join his comrades. Knowing his comrades were in the contiguous wood, he ended up joining the “friendly” lines. He carried only one grenade in case he would meet Germans. He did not want to be a prisoner. “I saved one hand gernade attached to my harness in case the Germans captured me. The passwords changed so many times during this period because the Americans knew that Germans disguised in GIs were moving between the lines. Allen Myers could not know the new password. The GI holds up his flashlight on his face. He identified Allen and let him go. 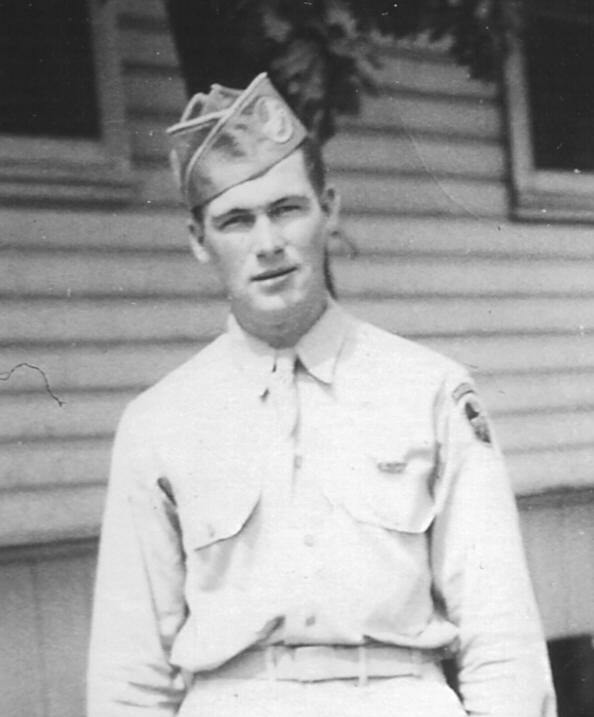 On the way to the help station of Bastogne, Allen Myers was embarked on a Jeep with some other wounded soldiers. The driver stopped frequently to listen to the sounds and if panzers approached them. In Bastogne, in the sorting office, Myers saw the male nurses separating out the casualties who were going to survive from casualties which were about to die. He was evacuated towards a sorting centre in Bastogne, then towards a school before being sent in a hospital in Paris and then by boat towards England for surgery. It is in England that Allen Myers received the Purple Heart. He remained 6 weeks in England before embarking on the Queen Mary for the USA. During all this time, Allen Myers was considered as “missing in action” because he was not back with the troops when they were withdrown back. His parents got a telegram from the Western Union announcing them their son had disappeared in combat. When he arrived in New York, he learned he had been MIA for 30 days. He sent a telegram at home. In USA, he spent two months in a hospital. At 20 years old, on August 23, 1945, Allen Myers was demobilised at Camp Pickett, Virginia. Since this period, Allen Myers still has got some pain in the arm. He cannot raise it up completely above his head. Allen W Myers got married and had a girl. He worked in a hospital for American veterans during 32 years. He rejoined the 17th Airborne Association where he speaks about memories with his former comrades. Allen Myers only went back once in England in 1980 but also briefly to France and Belgium. Allen Myers thinks the Germans had to do what they were told to do. “Since my grandfather emigrated to the US from Germany at age 16, I was proud of my German heritage, after the war I felt that the Germans were told to do the same as I was told to do. Nowadays, Allen W Myers lives in West Virginia. Allen Myers spends his time quietly. He is found of fishing which he practises almost every day. Still a few years ago, Al had also a passion for the restoration of furniture. He also gardens and keeps his house up. Al is also interested in the baseball and football games on TV.